Indeed, one of the themes that are explored in the film is culture. And a lot of what we see in the film mirrors what you will hear in the soundtrack. Of course, it’s nothing like what Guardians of the Galaxy is going for, which is a good thing, because it allows the Black Panther soundtrack to stand out. It’s important to know that this isn’t exactly a family-friendly soundtrack. There is some explicit language that is included in it. That being said, it is a great addition to the Marvel Cinematic Universe, which has been known to have a mixed bag of soundtracks. I especially love the “Pray For Me” track by The Weeknd and Kendrick Lamar. There is something so soulful about it, and you’ll get to hear it in the film. However, it should be noted that not all of the songs will appear in the film. A lot of it is inspired by it though, and when added to Ludwig Göransson’s orchestral score it makes for a very interesting and yet satisfying mix. 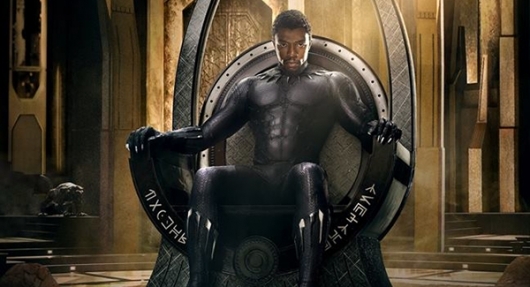 You can keep up with everything that has been going on with Black Panther here, and don’t forget to check out the film when it opens in theaters on February 16, 2018.